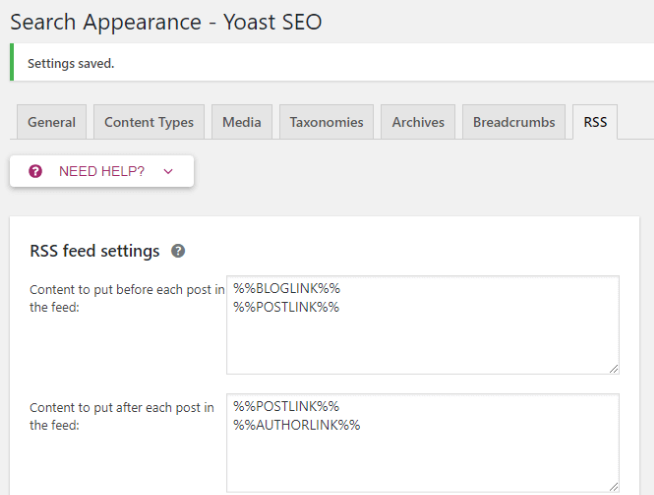 This article will continue to show you how to install and use Yoast SEO to complement OnPage SEO. Click HERE to read Part 1. Choose Yes if you want to display the category page in google search results. But if you want to, you should head off some content on the page to avoid being underrated by Google. 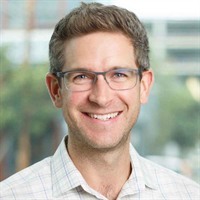 SEO Title: Choose the "Title Seperator Site title"
Meta Description: Select Excerpt if you do not manually add meta to the category page. With tags, you note that you should choose No, to not to show the tags out google search results, which adversely affects SEO. 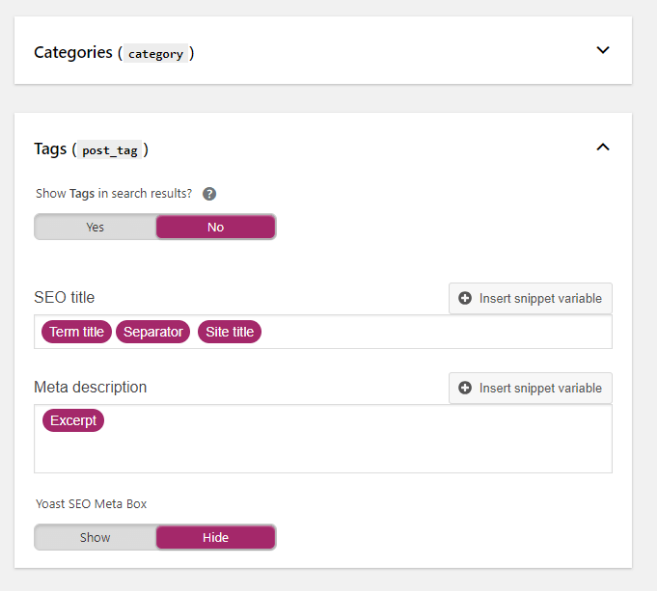 Select Disabled to hide unnecessary pages that show up in search engine results such as tags, format, portfolio category, etc. I encourage you to choose Remove to not display the category name of the article in its link for the purpose of more effective OnPage SEO. 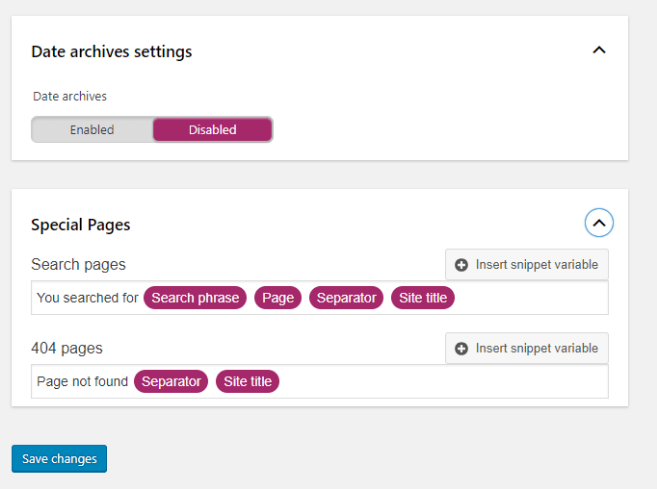 Author archives settings: If you are a branding website, you can Disable Author archives (as shown below). If you are a personal website, you can turn on and optimize your title when it's displayed on Google results. Date archives settings: You should not show Date archives in the search results or turn it off as well. 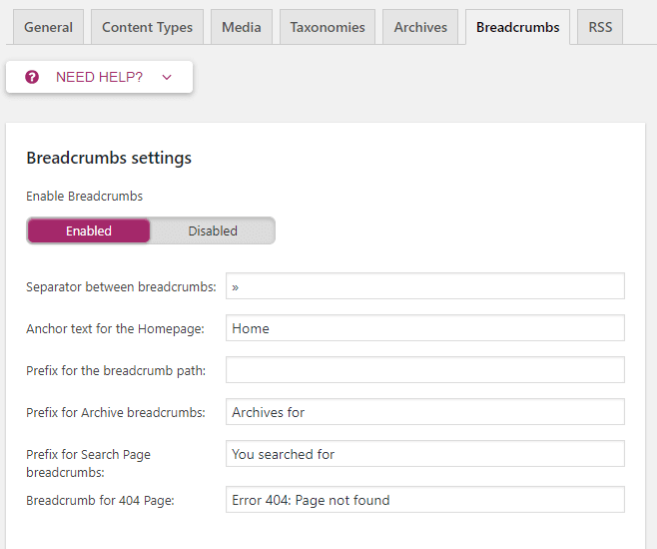 You should turn on breadcrumbs so that the search engine understands the structure of your website. As a result, it has more chances of being displayed in the top results to users because it has a theme that matches their search query. The last of Search Appearance settings is RSS Feed. You just need to install like the image I share below and do not care too much to this RSS Feed. This is how your post is displayed on the RSS Feed. 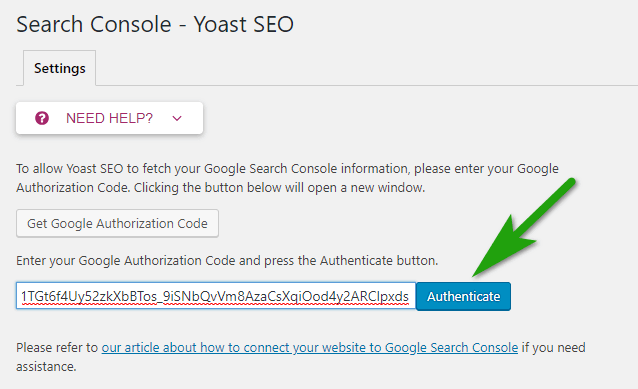 Connect Yoast to Google Search Console to spot errors such as broken links, indexing errors, changed text link, deleted posts, redirected links, etc. 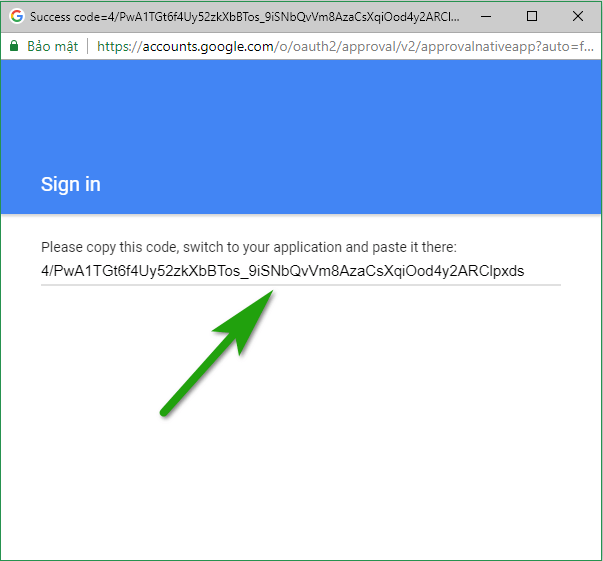 Act as follows, click Get Google Authorization Code. 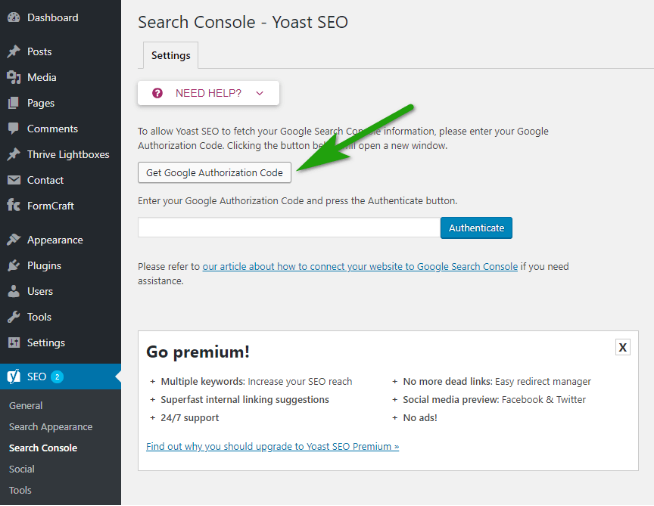 The interface appears for you to copy the code as below image, then paste back to the Authenticate box on the Yoast. Then paste here and click Authenticate. 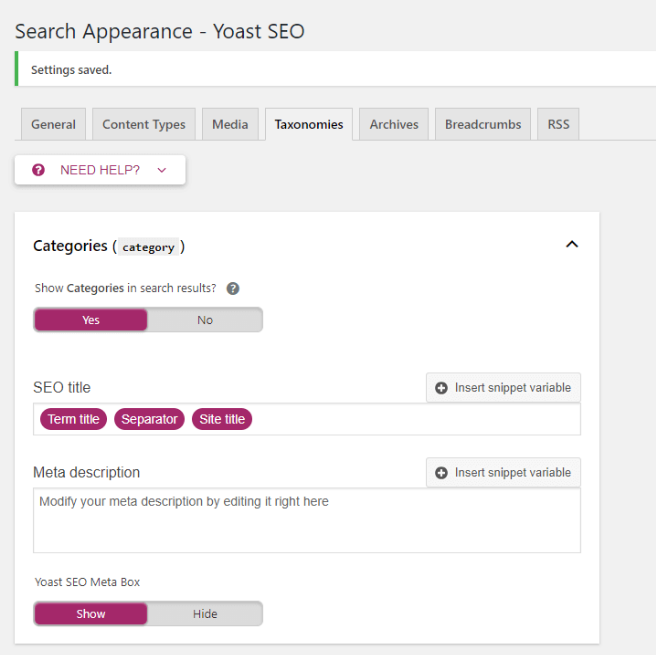 The process of connecting Yoast to Search Console is done. 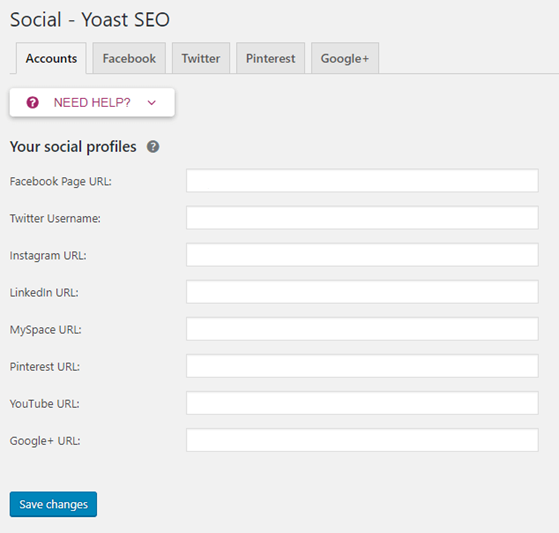 Set up Social information for Yoast to have your social account data, so you can optimize how your posts look on social media that if the title, description, thumbnail,... are suitable. You enter your URL/user social channels here. 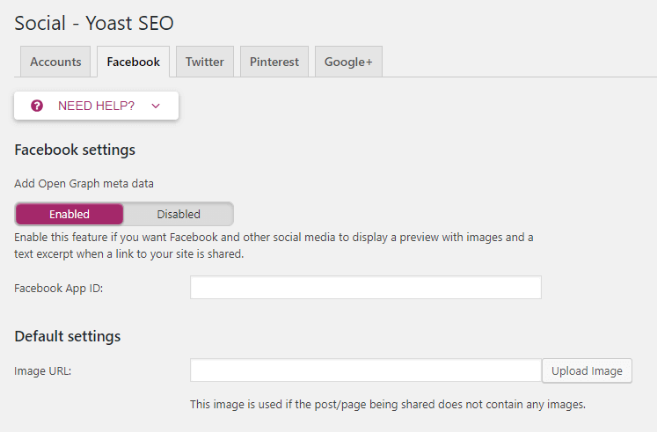 Select Enabled to be able to customize the title information and description and customize the post/page display when sharing to Facebook with individually designed, suitable size thumbnails. 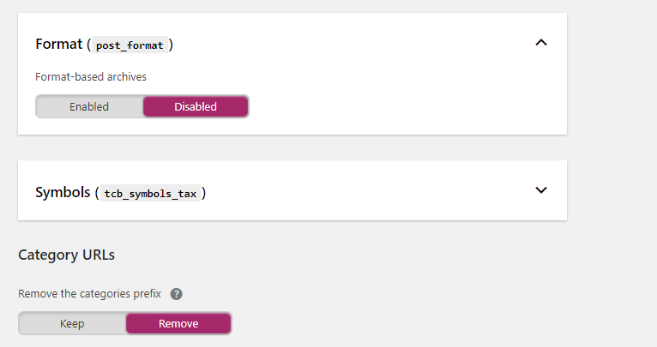 All will be set in the meta box below the article editor. Under Default Settings you can upload the brand banner of your website in case you forget to customize thumbnail for any page/post, Facebook will set the URL you share as a thumbnail. The other 3 tabs set up similar to the Facebook tab so I do not further guide.